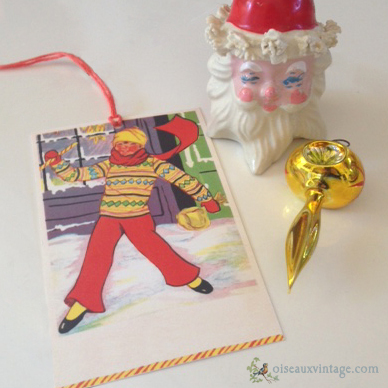 You guys, I'm so excited about these gift tags! You know when you've been thinking about something for a long time and then it finally happens? I've been wanting to add gift cards to the shop for ages. Here they are! They come as an instant high-resolution PDF download, and you can print as many as you like, for Christmases to come! You can get them here. Shown along side the tags are some of my vintage Christmas treasures handed down from my Grandmother. The little santa head above is a salt shaker, isn't it the best?